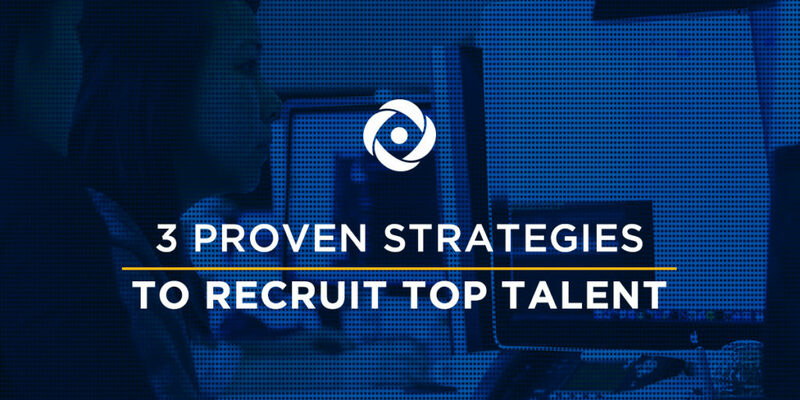 3 Proven Strategies to Recruit Top Talent - Acara Solutions, Inc. Recruiting talent is a priority for any organization in a tight labor market. From manufacturing to information technology, the demand for skilled employees is at an all-time high, and companies need intelligent strategies to attract value-add candidates. On average, companies lose $14,000 for every job that remains open for three months and they face compounding losses with every open position, as numerous resources become dedicated to picking up the slack, or working fill the position. However, not all companies can dedicate a team to recruitment, and candidates in demand often field multiple offers. This is especially true as the labor market has become more competitive in the economic recovery. Since this upturn has made competing for talent more difficult, best-in-class companies have elected to use both new and tested strategies to find, attract, and onboard the talent they need to fill gaps in their workforce. If you’d like to attract talent to your organization, it’s critical to understand strategies that can help bolster your company’s recruiting and improve your goals. In today’s age, “social media” is just another term for the current state of the internet. As people of all ages consume the majority of their content from their social media pages and feeds, employers have an unprecedented opportunity to build a candidate experience for their brands by establishing a relevant social presence—that mixes a healthy dose of useful content with personality. Knowing that candidates use social media to understand and assess organizational cultures, 40% of best-in-class companies have turned to social tools to strengthen their digital brands. It’s free PR, and an easy way to reach a diverse talent pool without investing major dollars. In today’s world, there are few degrees of separation between resources. Often, your current employees can be your best tool for finding that next great hire, and a strong employer brand will help facilitate that hire. That’s why 37% of best-in-class companies are engaging their employees in employee referral programs to funnel qualified candidates to their recruitment teams. By mobilizing your own employee network, many qualified candidates are much closer than most companies would believe. Ultimately, many companies have specialized needs, and it takes the already overburdened HR departments too long to source candidates who are in high demand and have more competitive offers from other suitors. By engaging a staffing partner that specializes in recruiting highly-skilled and scarce labor, and one that has access to deep talent pools, organizations can reduce their staffing costs by reining in productivity losses. Staffing partners have already done the legwork of developing their pipelines of candidates and they are able to supply highly-specialized workers quickly. According to an Aberdeen Group research report, 49% of best-in-class companies engage a strategic staffing partner to help find their needed talent. Not only will a staffing firm provide talent to businesses, but they will also apply trend analysis to forecast future business requirements and talent needs. This approach is extremely helpful when a large percentage of an organization’s workforce is composed of temporary and contingent workers. Whether you’re a multi-national firm with a total talent management strategy in place, or a small to mid-sized company, everyone needs to bring in quality hires to help build their business. Applying a strategic mix of expert partnerships, employee referrals, and strong employment branding, companies can expect to find the next-level employees they need.